A woman's wardrobe without a good quality pair of jeans is a travesty indeed! 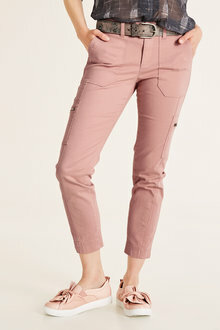 Slip into this fashion staple with one of EziBuy's range of ladies' jeans. 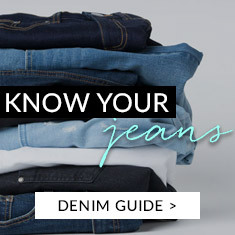 Choose from skinny, straight, flare or stretch jeans - we've got all styles covered! 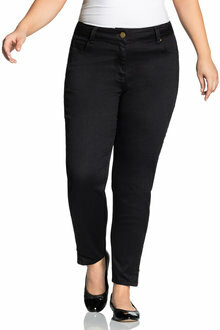 Our range of women's jeans are available in a variety of cuts, washes, colours and patterns, catering to every taste, size, style and shape out there! Choose from light washes to white jeans to printed jeans - and so much more! And then there are the cuts - check out our range of ladies' jeans for high-waisted, high-rise, mid-rise and low-cut styles. We love the endless options out there to dress your jeans up and down. 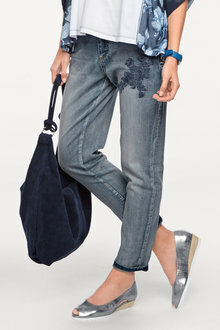 Combine a light-washed pair of skinny jeans with a striped tee and flats for a casual weekend. Meanwhile, dark wash bootleg jeans work perfectly in the office with a blouse and wedges. 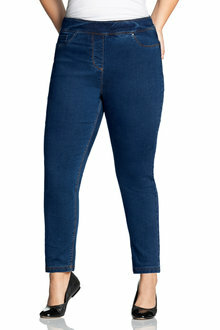 Browse our full range of women's jeans online to diversify your wardrobe today!